We cordially invite you to our new event the first Gwili Teddy Bears Picnic. A weekend of steam, children’s activities and fun for all the family. Bring a picnic or pick one up from our Vintage Tea Room, travel to Llwyfan Cerrig and meet the Gwili Bear or search for the hidden bears at our picnic site. Play games and meet our resident magician, Loopy Lews. To enjoy the games, please travel on an earlier train e.g. 11.00 to stay for the return train at 13.30. 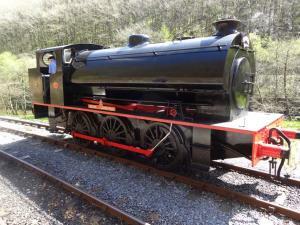 Visitors will be able to travel on the steam locomotives throughout the day; trains run at 11.00, 13.00 and 15.00. Special Event Prices: Adult £14.00, Senior £12.00, Child £8.00, Family (2 + 2) £36.00. On A484, 3 miles north of Carmarthen; follow brown tourist signs.